Mahindra Mojo has successfully completed the first ever Desert Trail. It covered more than 2,650 kilometers for 8 nights and 9 days with 30 riders from across the country taking part in it. The Desert Trail was held across two legs from Jaipur to Bhuj and Bhuj to Ahmedabad. It started from Jaipur on 17th December, 2016 and finished in Ahmedabad on 25th December. The trail covered the tough terrains of North Western India and conquered the deserts across Jaipur and Rann of Kutch. It went though different climates and geographical conditions that tested the rider’s ability. 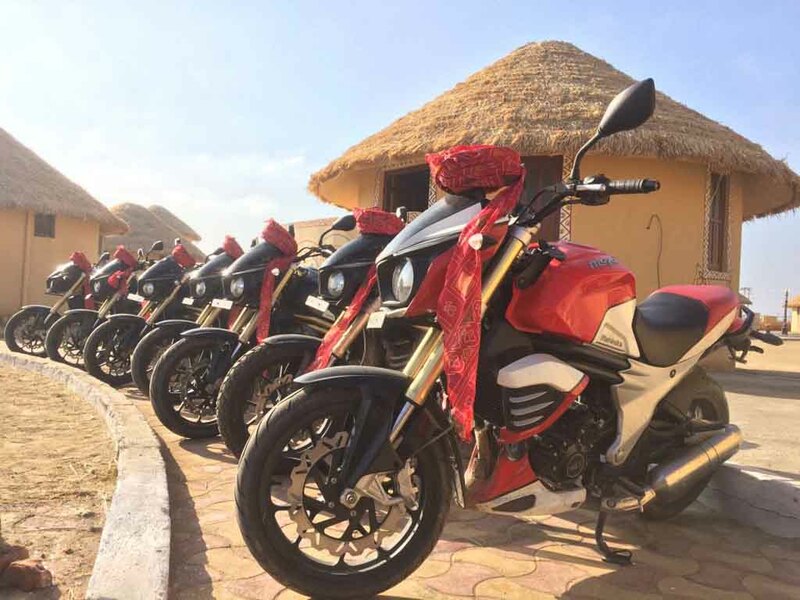 During the Desert Trail, Mahindra Mojo riders spent two nights at the exotic Sam Sand Dunes, visited Jaisalmer fort and Longhewala War Museum. Mahindra & Mahindra arranges for different trails that bring the Mojo riders from across the nation under one umbrella. Apart from the Desert Trail, there are three other trails that include Coastal Trail, Jungle Trail and Himalayan Trail. All of these have been designed to test the ability of the riders through extreme weather and geographical conditions as well. Mahindra has been known as the SUV maker of India for quite long time with its range of tough SUVs on offer. 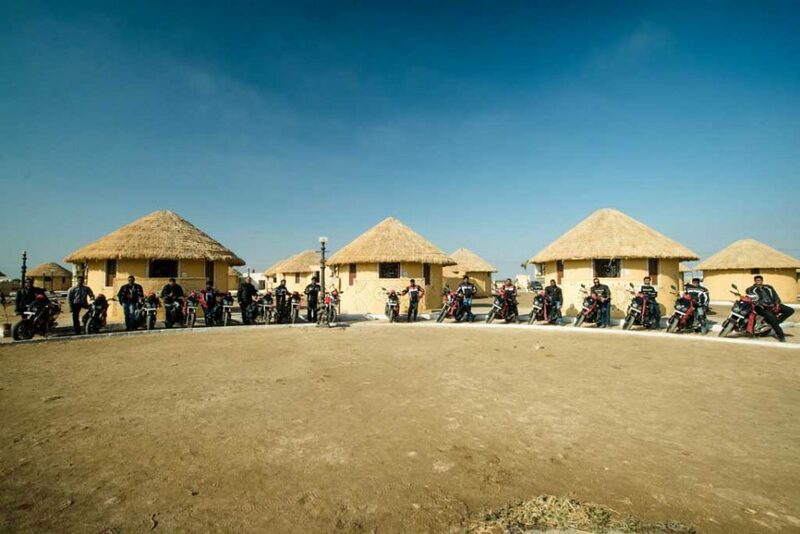 Now, alongside the four-wheelers the company is focusing on two-wheelers as well. The Mojo is a performance cruiser from the Mahindra Two-Wheelers that has grabbed attention of the riders in the country with aggressive design and high performance. The Mojo is powered by a 295 cc single-cylinder, liquid-cooled, four-stroke engine that is capable to churn out 27 PS of peak power at 8,000 rpm and 30 Nm of peak torque at 5,500 rpm. The bike comes with a large 21-litre fuel tank that makes it cap[able to run a long distance without refueling. For braking duty, the Mojo sports 320 mm front disc and 240 mm rear disc brake. Suspension duty is done by USD front fork and rear monoshock.